I borrowed the Liberace Costume book from the library, with Mr. Travis’ creations. I was impressed by the workmanship and the detail. 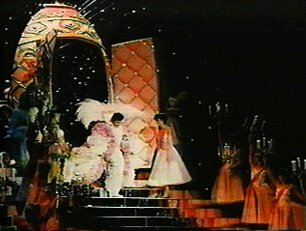 Liberace had so many different designs, in different color schemes.